Hometown: Freehold, NJ, North Kingstown, Rhode Island, U.S.
Died: June 27, 2005 in Operation Iraqi Freedom. 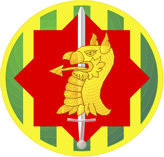 Unit: Army, 64th Military Police Company, 720th Military Police Battalion, 89th Military Police Brigade, Fort Hood, Tex. 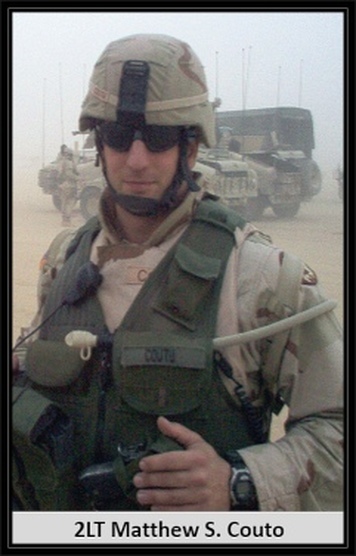 COUTU, MATTHEW S., 2nd LT. U.S. ARMY, 23, of Sauga Ave., Shore Acres North Kingstown, died Monday, June 27, 2005 in Baghdad, Iraq after being wounded by a sniper while on patrol. He was the beloved son of Donna M. (Matarazzo) Coutu-Freeland of North Kingstown and Michael A. Coutu of North Hampton, NH. Born in Freehold, NJ, he moved to Lake Forest, Illinois in 1994 and to North Kingstown in 2002. Matthew graduated from Lake Forest High School in 2000, where he was captain of its football team and also competed in track, wrestling and shot put. He graduated from University of Maine in 2004 majoring in History with a 3.4 GPA. As a senior in the Reserve Office Training Corps, he received that organizations highest honor, the George C. Mitchell Award. 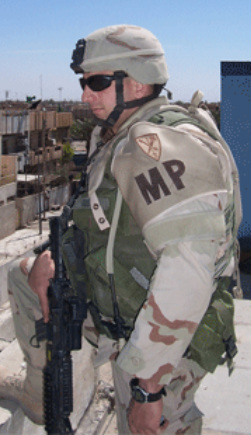 He was assigned to the 64th Military Police Company, 720th Military Police Battalion, 89th Military Police Brigade in Fort Hood, TX. Besides his parents, he is survived by his brother; Derek M. Coutu of Norwood, MA, a half brother; Andrew Coutu of North Hampton, NH, a half sister; Holly A. Coutu of Canterbury, CT, his maternal grandmother; Alice E. Matarazzo of Smithfield and his paternal grandmother; Gertrude M. Coutu of Warwick. He was the grandson of the late Sandino J. Matarazzo and Clarence J. Coutu. Relatives and friends are invited to attend a Mass of Christian Burial on Thursday at 10:00 AM in St. John the Baptist Church, 40 Washington St., West Warwick, followed by interment with Military Honors in RI Veterans Cemetery, Exeter. VISITING HOURS Wednesday 3-8 PM in the NARDOLILLO FUNERAL HOME, 1278 Park Ave., Cranston. In lieu of flowers, memorial contributions may be made to: Operation Support Our Troops, P.O. Box 404, North Kingstown, RI 02852.